Ray Romano found some inspiration from Brian Grazer for the upcoming Epix series “Get Shorty” — but the actor doesn’t want Grazer to get the wrong idea. Romano told reporters at the Television Critics Association’s summer press tour on Tuesday that he’s been around plenty of down-and-out producers, along the lines of Rick Moreweather, his character on the show that’s based on Elmore Leonard’s 1990 novel and co-stars Chris O’Dowd. Series creator Davey Holmes pointed out that he was inspired to set the show in Pahrump, Nevada, after Lamar Odom was found unconscious in a brothel there in 2015. Holmes appreciated that the town felt disconnected from everything else in the world. Romano pointed out that he himself has been to Pahrump before. “I didn’t go where Lamar Odom went — I went to play golf — but I think we both had a horrible experience,” the “Everybody Loves Raymond” alum quip. “Get Shorty” premieres Aug. 13 on Epix. Stephen King has seen a resurgence of adaptations as of late. 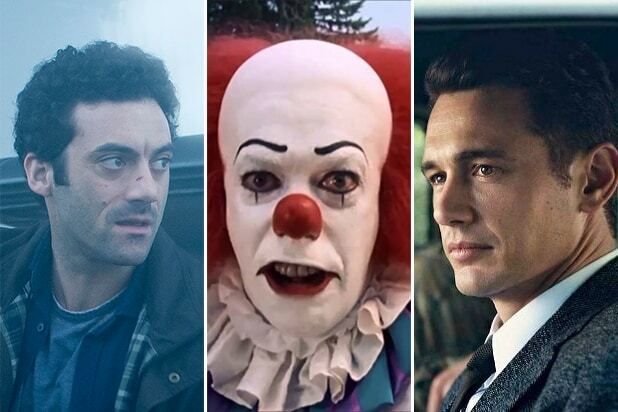 In 2016, there was "11.22.63" on Hulu, 2017 saw "The Mist" on Spike and 2018 has given rise to "Castle Rock," an original story that takes place within the King multiverse. In honor of the iconic horror author's new TV adaptations, let's look back at all the King works (original screenplays not included) that have made their way to television ... sometimes with horrifying results. It's mostly known nowadays for its disappointing and hilarious visual effects ... and it's also mostly boring. But the story of people who realize they are the only ones left on a plane from which most of the other passengers have vanished is almost worth watching for -- specifically for that end reveal. You'd think with a screenplay by Bryan Fuller (!) that this TV movie -- which was intended as a backdoor pilot for a "Carrie" series -- would've been worthwhile. Unfortunately, it lacked what made the film version of King's book such a classic, going for low-key, quiet performances instead of the insane, over-the-top setup of the original. A&E tried to bring back the grand old tradition of Stephen King miniseries adaptations in 2011 with a new take on "Bag of Bones," but the Pierce Brosnan-led two-parter just ended up being mostly forgettable. The eight-part miniseries adapted short stories from some of King's collections. It features some incredible actors and performances from William Hurt and William H. Macy and is a solid adaptation of the ones in question. However, none of the stories are standouts to begin with, even if most of them are above average in quality, so the miniseries suffered the same fate. It's not all that creepy, but it's almost a perfect culmination of King tropes: from secret aliens, to psychic powers, to small town life gone awry. That all kind of leads to a basic script, which is elevated by performances from a great cast featuring Jimmy Smits and Robert Carradine. While it only borrows themes and premise from the King novella, "The Mist" does work to create the same foggy and unknown atmosphere (pun intended). The idea of a town engulfed in a deadly mist is a fun one, but the show dragging out its mysteries made it tough to hold viewer interest, and Spike TV canceled it after one season. It's not easy to adapt one of King's most beloved and sprawling novels that tackles the very essence of good vs. evil, but ABC mostly succeeded in their four-night event. "The Stand" is great at building an apocalyptic world and is full of interesting characters, although there's so much of this miniseries that it drags a bit in the middle. CBS' adaptation of King's novel about a town that suddenly finds itself under a giant glass dome started off well enough. But as the seasons went on, the show got weirder and seemingly without direction. You'd be hard-pressed to find anyone who cared about why Chester's Mill ended up under a dome or if its residents would ever escape, by the end. ABC's miniseries adaptation of King's novel should be considered brave at the very least, with comparisons to Stanley Kubrick's iconic movie all but inevitable. This is a more faithful adaptation of King's actual novel, though, and different enough to step out of the first movie's shadow. While the made-for-TV effects lessen the frights of some of the book's better scenes, this version goes for straight-up supernatural scares, a different tack than the growing dread of the Kubrick version. The episodic crime procedural starring Anthony Michael Hall ran for six seasons on USA. It expands greatly on the novel and its original adaptation with Christopher Walken, and really starts to pick up steam when it breaks free of being a series of stories about solving crimes by being psychic, and goes after the book's plot of trying to stop a madman future president from starting the apocalypse. It might even have more resonance today than in the aughts. The first season of "Castle Rock" has been a bit frustrating in its slow build, but it does one thing very well: it captures the creepiness of King and the unsettling atmosphere he brings to his small Maine towns. The show is part adaptation and part original story, and while it hammers a lot of King tropes a bit too hard, its strong cast is great at conveying how disturbing Castle Rock can be. JJ Abrams and Hulu mounted a mostly straightforward adaptation of King's alternate history time-travel tale involving the assassination of JFK. The story has some great ideas, like the effects of time travel on the traveler, but probably could have stood to take a few more risks and make more use of its time travel capabilities. Syfy's sci-fi drama didn't have much to do with the King novella "The Colorado Kid" beyond introducing a character of the same name, but fans fell anyway for the tale of Audrey Parker and her attempts to help the unwittingly super-powered residents of Haven, Maine. The show ran for five seasons and Haven became a reference and setting in future King stories. That's right, arguably one of the most quintessential Stephen King adaptations was actually on TV, running as a two-parter. It's a bit on the hokey side, with a TV-safe version of Pennywise the Clown (played by Tim Curry at peak creepiness) basically yelling "boo" at the kids and doing little else. Still, "IT" is an adaptation that solidly captures the feel of the novel, and cheap special effects aside, there's a reason Pennywise and clowns in general frighten so many people nowadays.